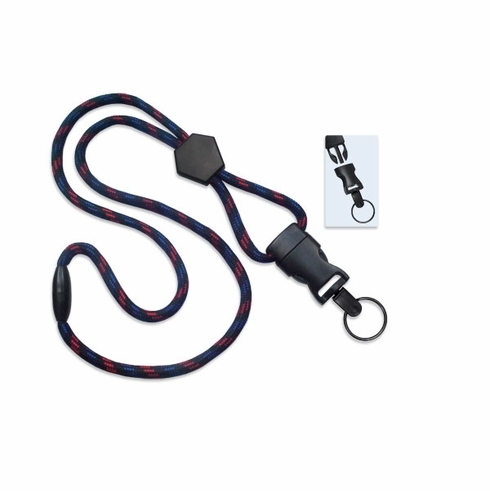 Round lanyard w/ breakaway, diamond slider & detach split ring. Split ring detaches to allow for easy access. 1/4" (6 mm) round; 36" (914 mm) cut length prior to assembly. Comes w/ a diamond slider that has a 3/4" (19 mm) imprint area.